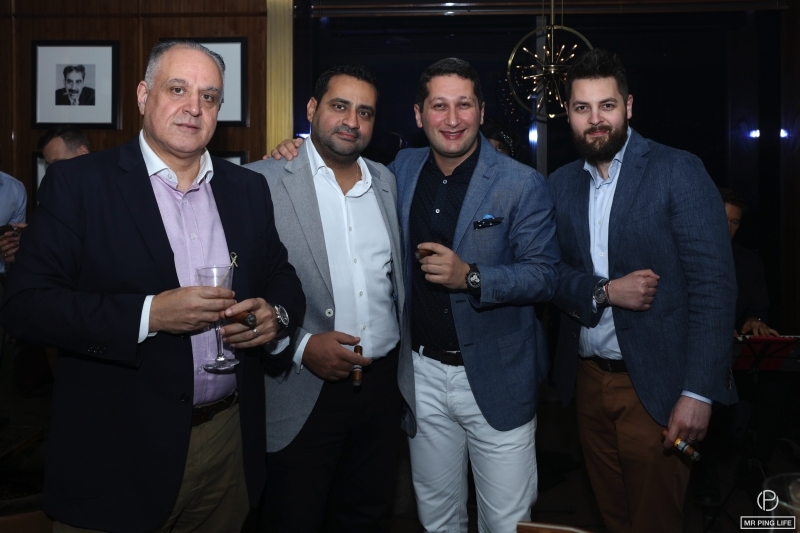 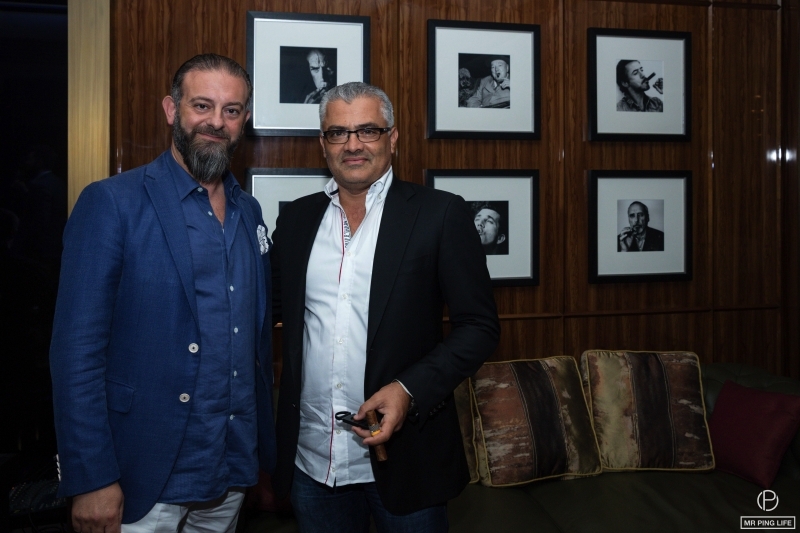 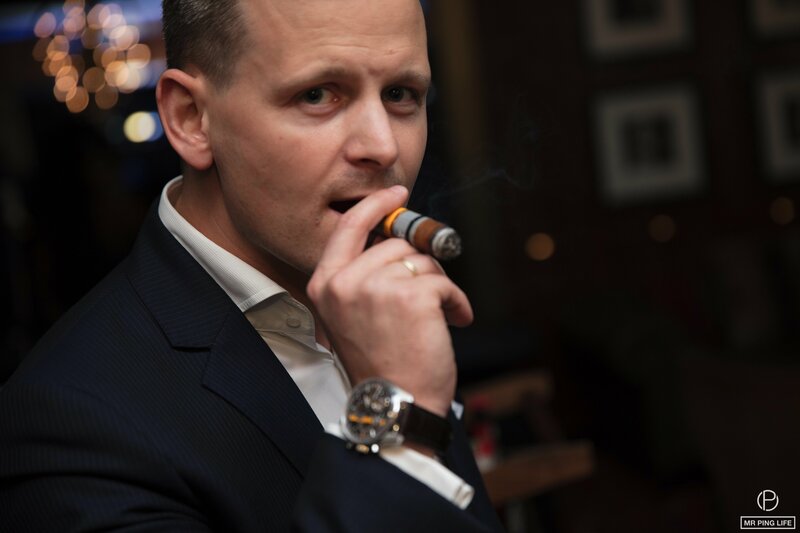 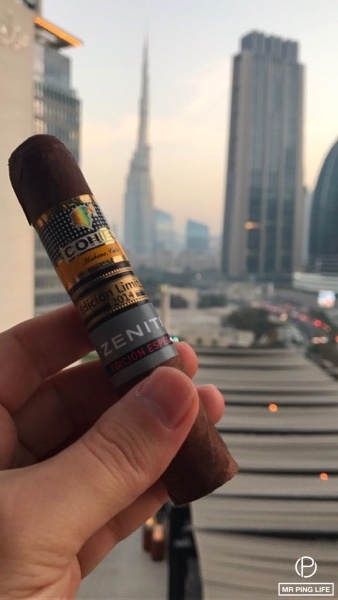 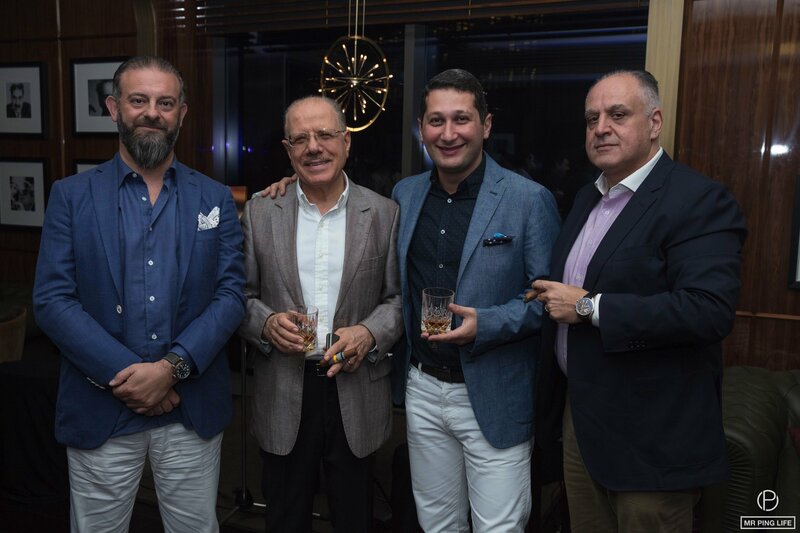 Mr. Ping Cigar World Tour continues, and travelled back to Dubai last week with a gentlemen’s evening celebrating great passions for cigars and watches. 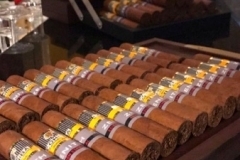 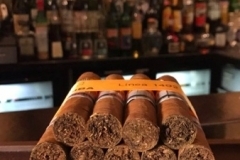 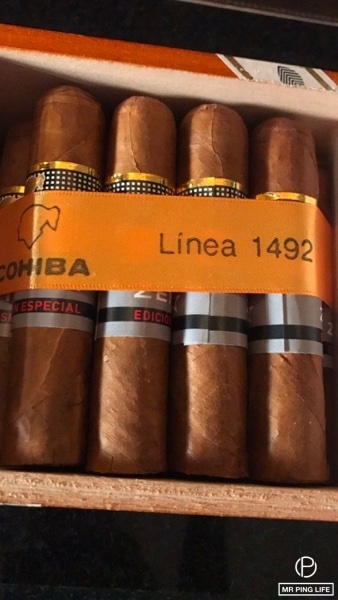 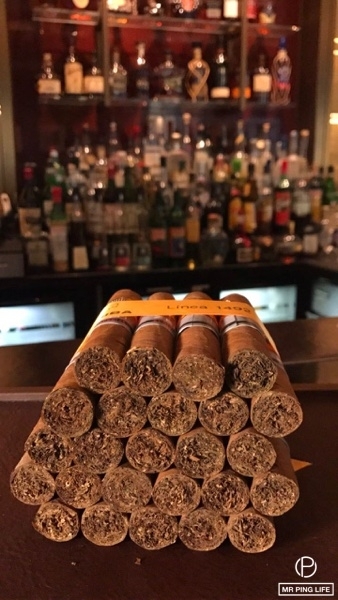 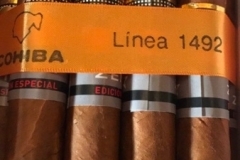 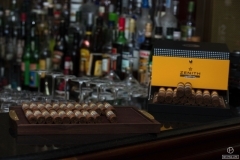 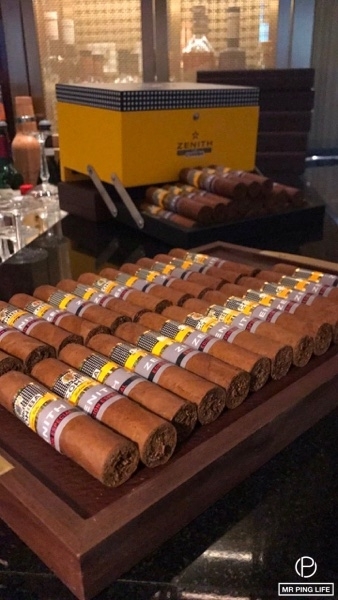 At the Churchill Lounge, Four Seasons DIFC, guests were offered two Cohiba cigars from the recently launched Medio Siglo 2016 and the amazing, rare Robusto Supremos Edición Limitada 2014 (my favorite Cohiba of all time), paired with Glenmorangie 25 years old and Hennessy XO. 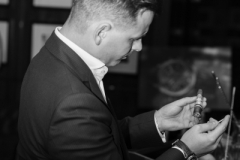 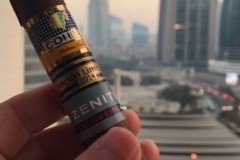 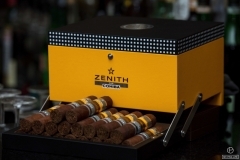 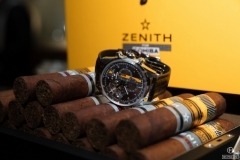 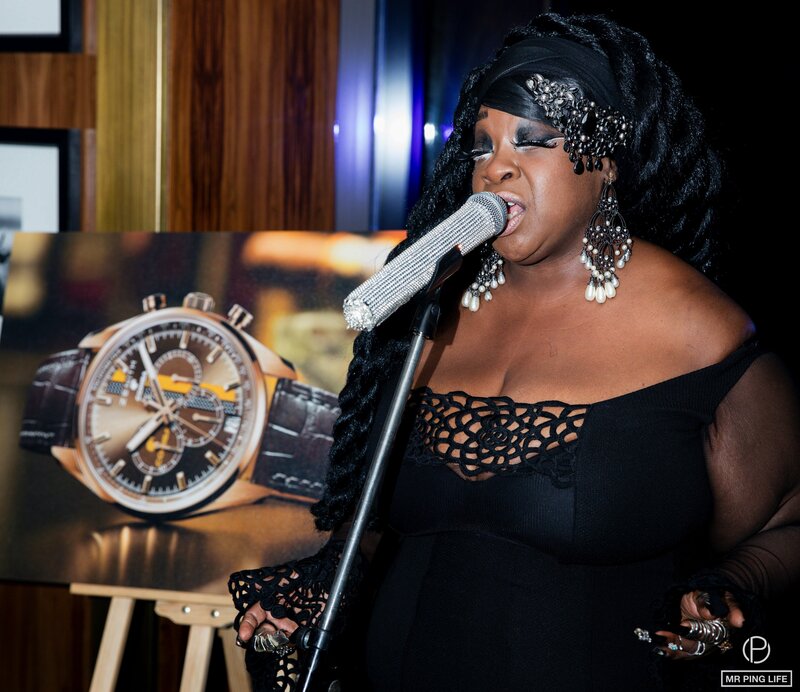 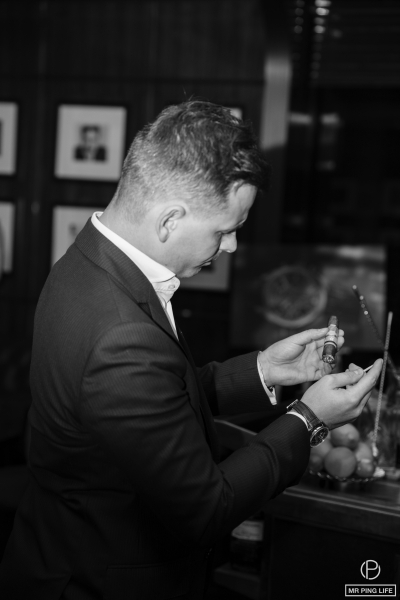 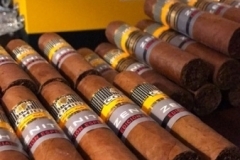 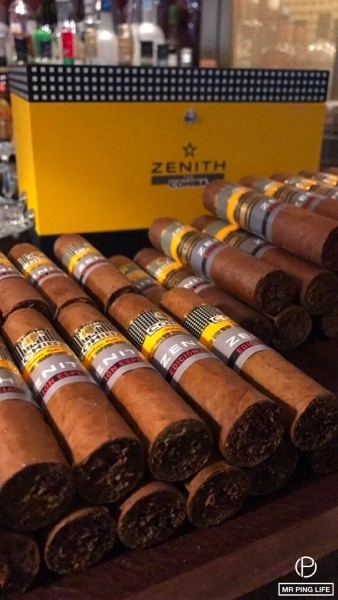 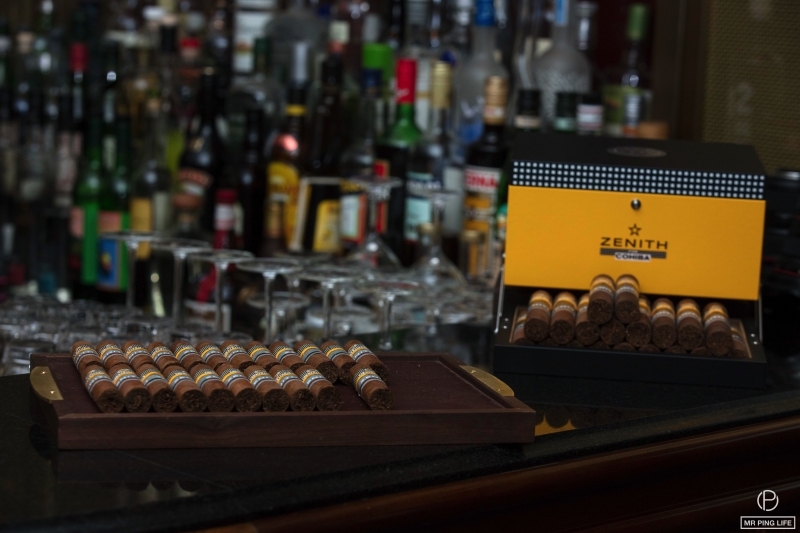 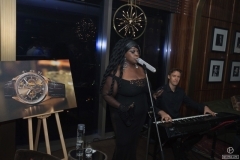 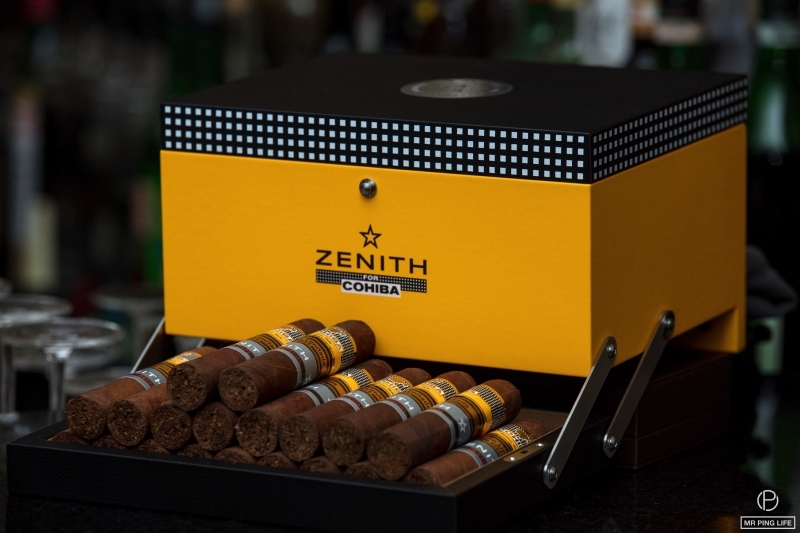 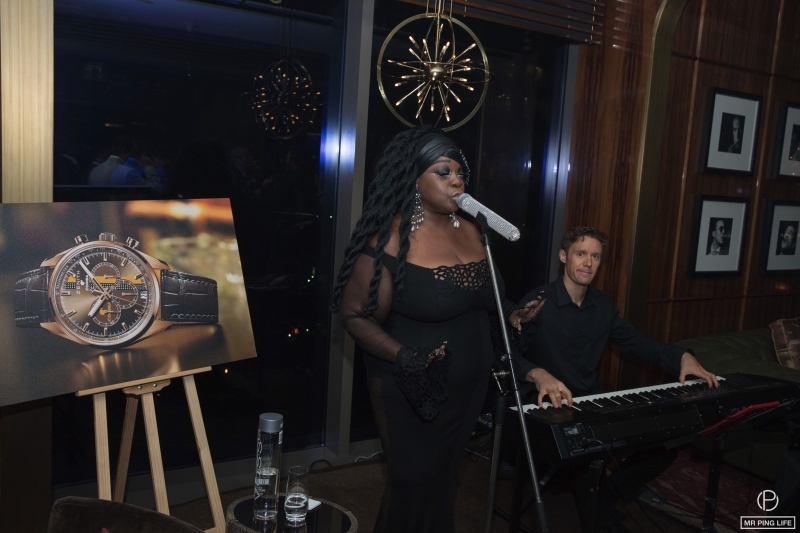 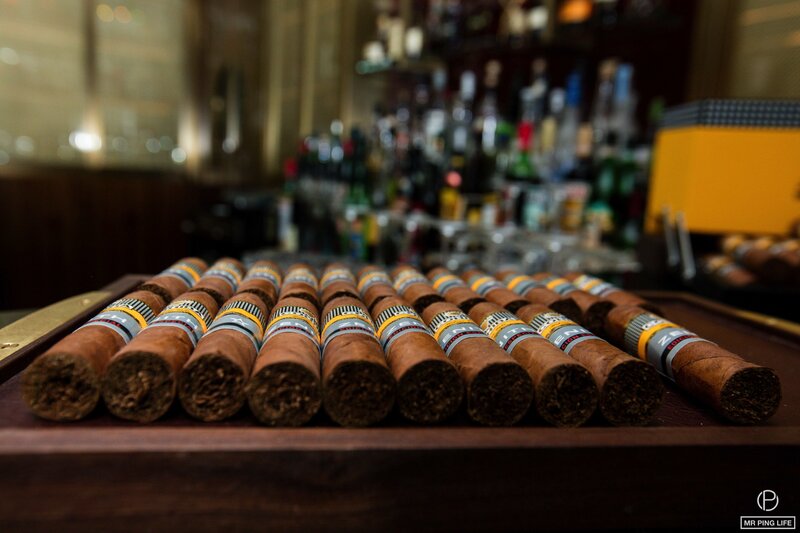 The evening was co-hosted by Zenith Watches who, in 2016, celebrated the 50th anniversary of Cohiba with the creation of three commemorative limited editions. 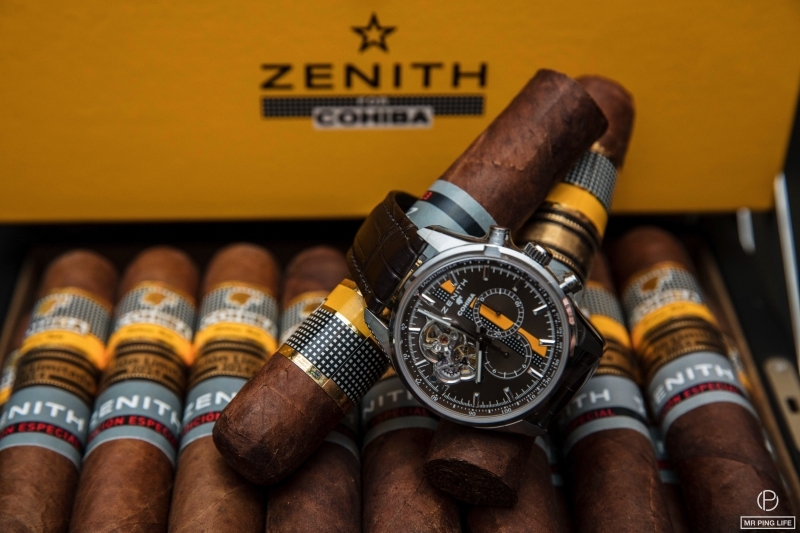 Manufacture Zenith pays tribute today to this Cuban legend with the launch of the El Primero “Legend of Cohiba” timepiece. 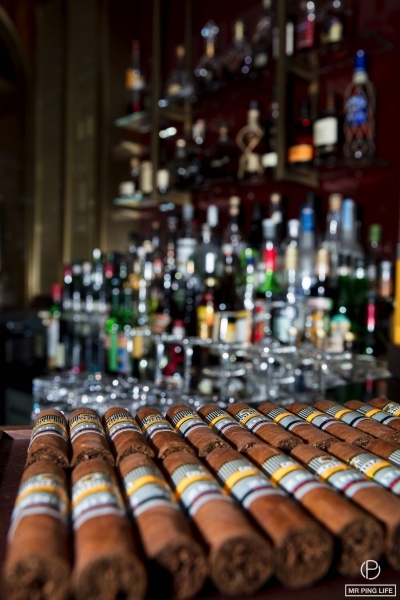 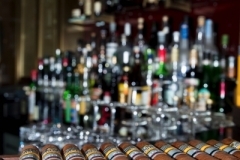 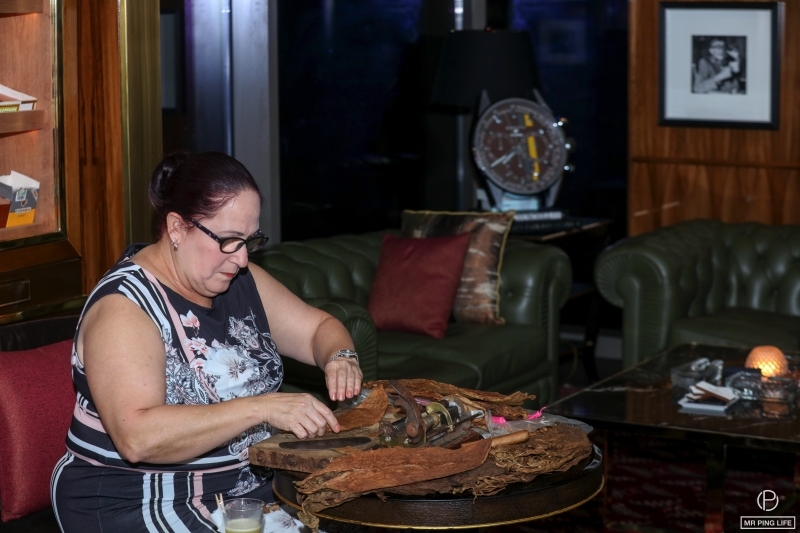 The exclusive gathering welcomed watch and cigar aficionados, and lovers of the finer things in life, in a warm, friendly atmosphere basking in a unity of time, traditions and expertise. 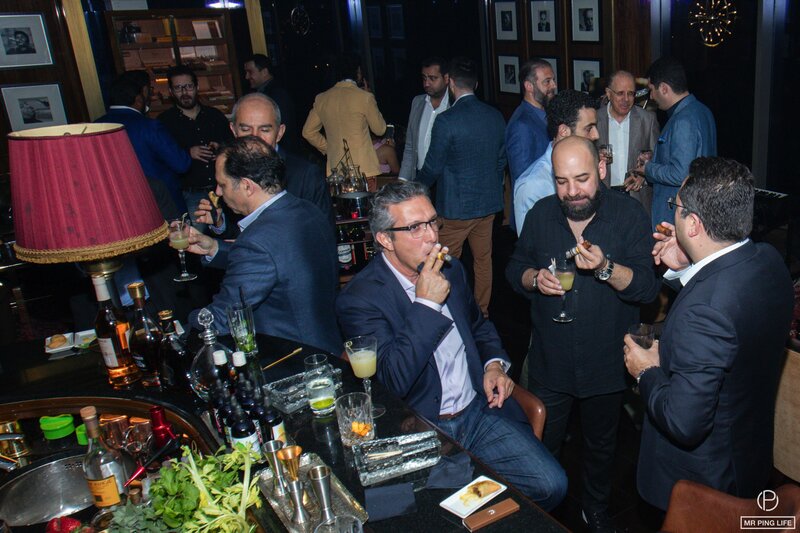 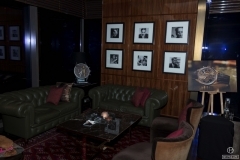 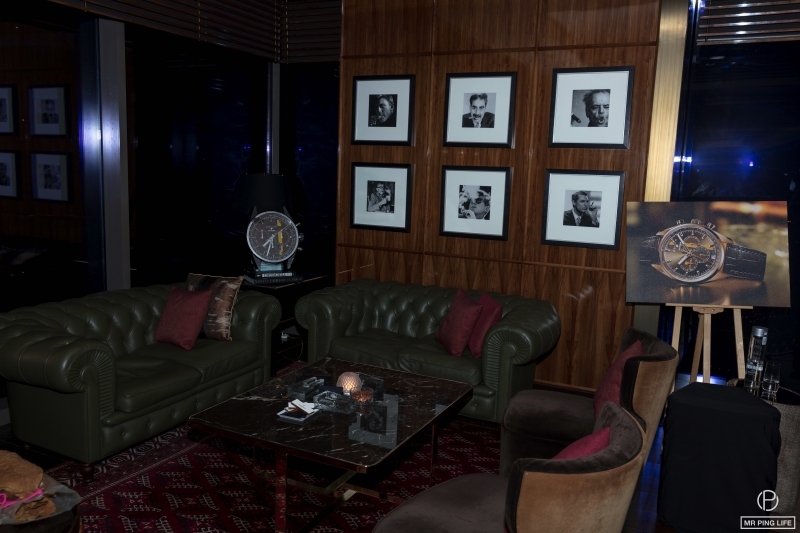 Watch collectors, cigar aficionados and friends gathered for a rendez-vous with time and pleasure. 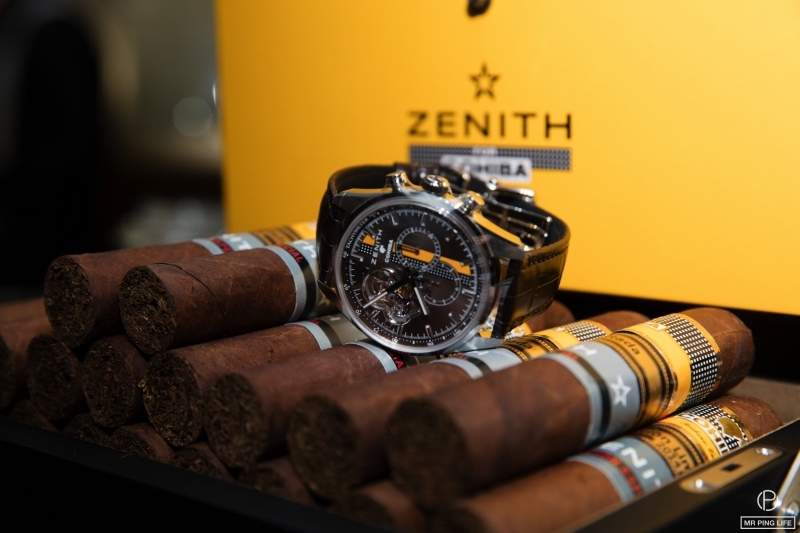 The subtle blend of pink gold and Havana hues of Zenith’s El Primero “Legend of Cohiba” instantly attracted everyone’s attention. 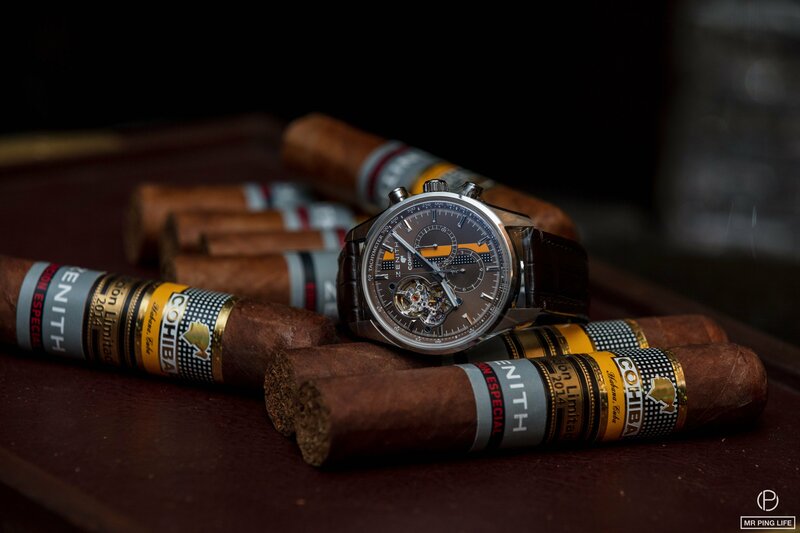 The unique watch, with its special case decorated with the founding date of Cohiba -1966, honors the excellence, expertise and supremacy of two icons of time and tobacco, Zenith and Cohiba. 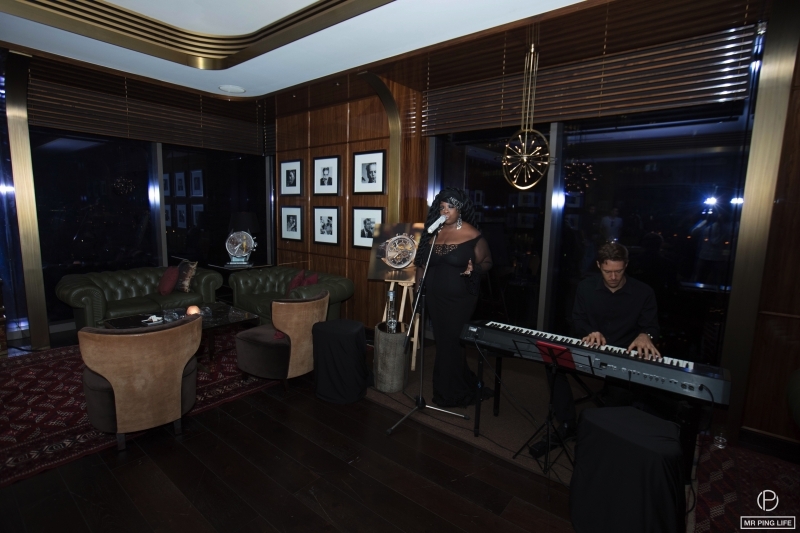 Guests chatted the night away to the jazzy voice of singer/songwriter and record producer Claudia Patrice, while enjoying their cigars, sipping their sweet spicy Glenmorangie and Hennessy based cocktails created specially for the occasion, and savoring great award-winning food prepared by the Four Seasons DIFC chef. 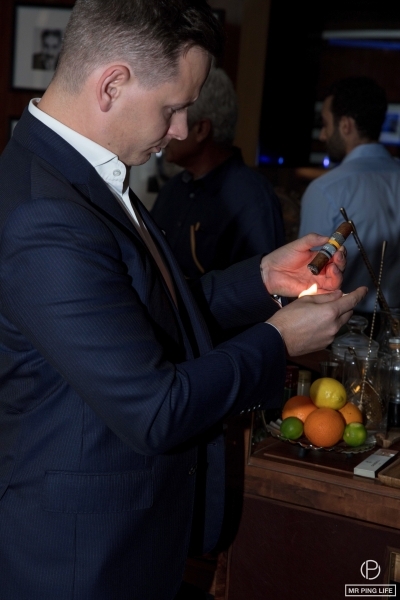 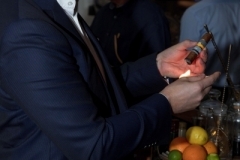 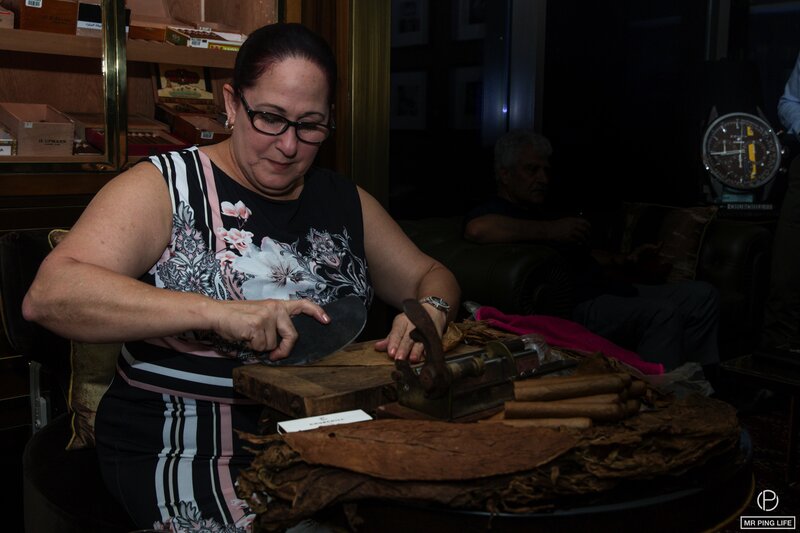 UAE-based cigar roller Virginia rolled tobacco leaves in front of the attendees, offering them an authentic, live experience infused with tradition and savoir-faire. 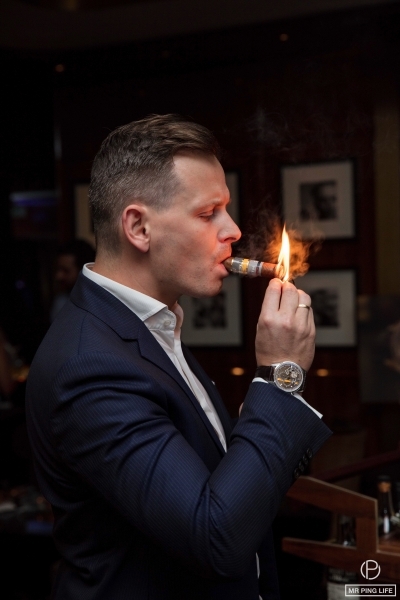 Mr. Ping Cigar World Tour has become a global club for those who share the a passion for the good things in life, from cigars, fine spirits and wines, to food, watches and more… A cosmopolitan crowd meeting up with new people every evening, making it the world fastest growing gentlemen’s club.